The Rockaway Borough Fire Department is not just all work and even the wives of the RBFD work hard. There are many nights in which members of the fire department are called out on an emergency call, leaving their wives and families at the dinner table or all times during the night. As part of the family atmosphere, the fire department or individuals will host a fun social event. 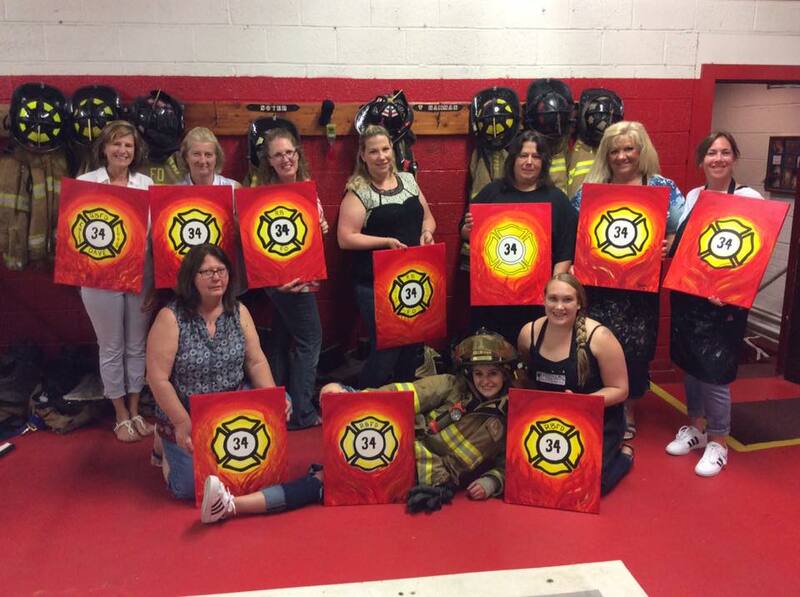 Firefighter Tiffani Hamman organized an art class through Uptown Art Denville for the wives, girlfriends and active members. Great job Tiff!